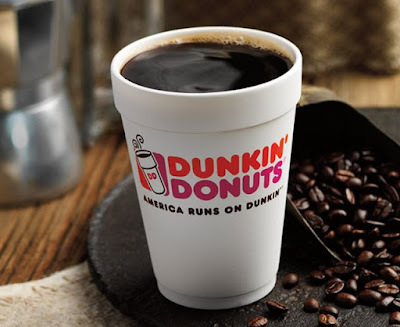 In honor of National Coffee Day, Dunkin' Donuts will be running a deal on Saturday, September 29, 2018, where anyone who purchases a hot coffee can get a second one for free. The offer is good at participating locations nationwide and is valid on Original Blend, Dark Roast, and Dunkin' Decaf brewed hot coffee. You can also add a flavor to the coffee including seasonal Pumpkin and Maple Pecan. Regularly available flavors include Caramel, French Vanilla, Hazelnut, Mocha, Toasted Almond, Blueberry, Raspberry, and Coconut.